Battleoverdoyen was cut from 16-1 to no bigger than 6-1 for the Ballymore Novices' Hurdle at Cheltenham after a commanding success in the Grade 1 Lawlor's of Naas Novice Hurdle on Sunday. 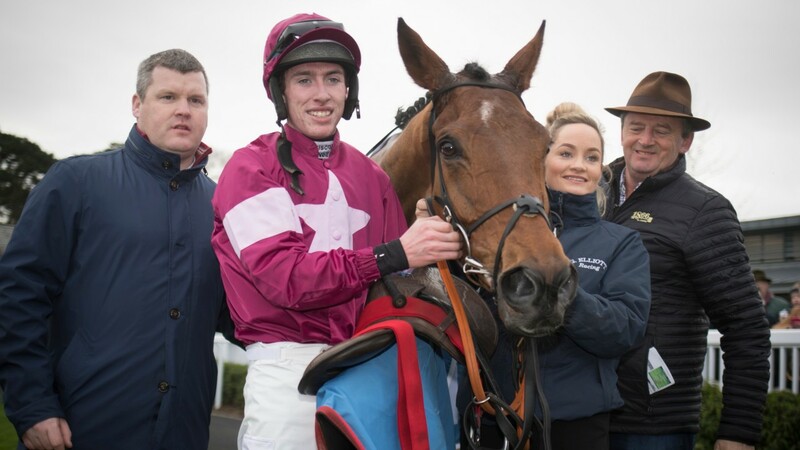 Now challenging Champ for favouritism, the big six-year-old, trained by Gordon Elliott for Gigginstown, took the step up from maiden company in his stride to make it two from two over hurdles, having previously won a point-to-point and bumper. Sent off as 2-1 favourite in a field of eight, Battleoverdoyen scored by two and three-quarter lengths under Jack Kennedy from Sams Profile, with Getareason two lengths back in third. Elliott, who won the race for the same connections with Death Duty in 2016, said: "We really like him. He's a big chaser in the making. Jack said the horse is still learning and that he didn't know what to do when he got to the front. "Bar the last, he jumped well all the way and gave his hurdles plenty of light. Jack thinks he'll prefer easier ground than he had today. "We'll see what happens with the ground and he'll probably have another run before Michael and Eddie [O'Leary] decide about Cheltenham." Elliott added: "He was a big backward horse last year and we never got to run him – there wasn't anything wrong with him but he was just a bit lame a couple of times and a bit immature." Battleoverdoyen now shares favouritism for the Ballymore at 9-2 with Sky Bet, and 5-1 with Paddy Power and Coral, although most firms marginally favour Challow Hurdle winner Champ, a general 5-1 shot. 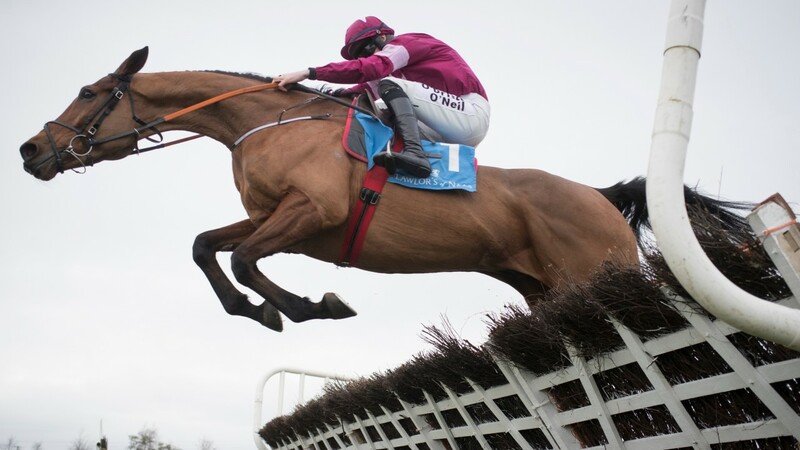 The six-year-old's main market rivals Tornado Flyer and Come With Me, trained by Willie Mullins – who dominated this race in recent seasons – failed to show their true ability. Tornado Flyer, who won his hurdling debut at Punchestown, trailed the field and was pulled up by Ruby Walsh after the seventh hurdle, while Come To Me was reported to be coughing after the race. Mullins said: "Tornado Flyer was never travelling for some reason but seemed fine after the race. Maybe it was the ground, I don't know."